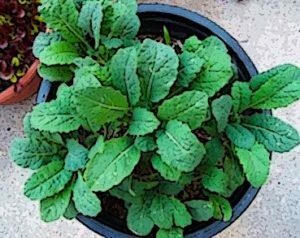 Below are five plants you can grow in containers this fall and winter. Delicious peppery taste! Nutritious and good in salads combined with lettuce, mixed in pasta. Fast growing. Fresh grown lasts longer and it’s more flavorful. Loose leaf or romaine handle cold better. Fast growing. 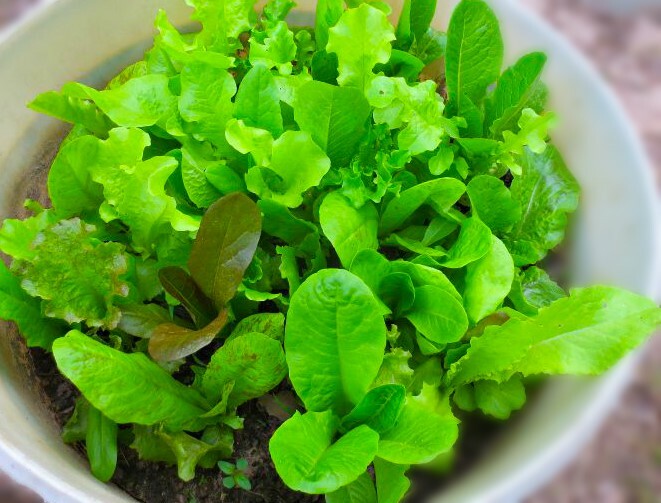 Lettuce is more sensitive to frost. Buy fabric cover to protect it. Highly nutritious and tasty sauteed lightly in garlic and olive oil. Many people love it raw. 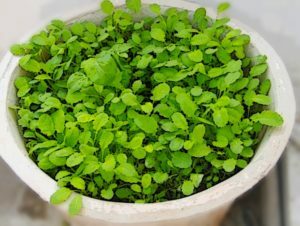 They are also a cold-hardy plant. 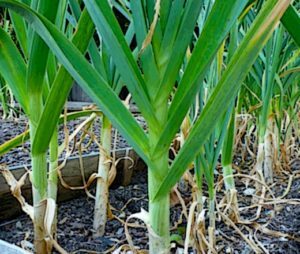 Plant garlic from bulbs in your nursery. Garlic makes everything taste better and some swear by it as a health remedy. A few days before planting, break apart cloves from bulb and keep the papery husk on each individual clove. Bulbs should be planted 2-3″ deep and have room for roots to grow. So, container must be at least 12″ wide and 18″ deep and allow 6″ between cloves. Great sauteed are in soups or stews. Spicy leaves cook well with strong ingredients like onion and garlic. 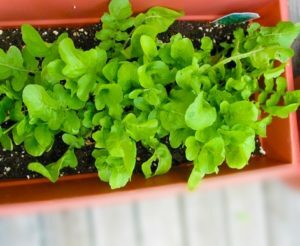 Smaller, milder ones are good in salads and stir fries. They are also a cold-hardy plant. Not as cold hearty as kale but they can tolerate a light frost.